Today E 5-15 kts Choppy 3-4 ft ISOLATED SHOWERS. Tonight E 10-20 kts Choppy 3-4 ft ISOLATED SHOWERS. A 1009 mb low is centered over N Colombia near 09N74W. 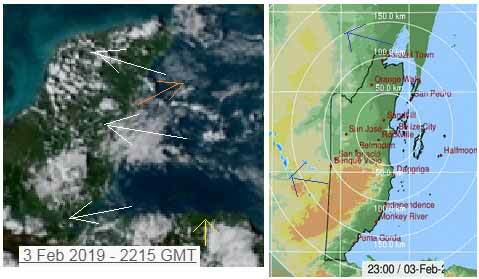 10-30 kt trade winds are over the Caribbean Sea with strongest winds along the coast of N Colombia. 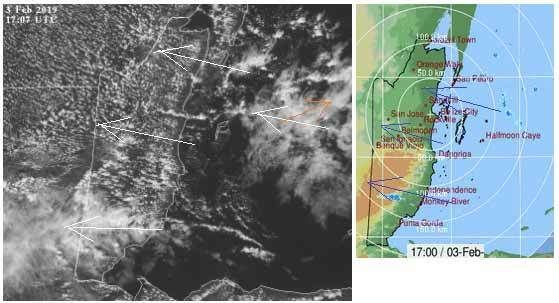 Clusters of broken low clouds with scattered showers are over the E Caribbean E of 74W. Similar showers are over Hispaniola, E Cuba, Jamaica, the NW Caribbean, and E Honduras. In the upper levels, a broad ridge is over the Sea with axis along 70W. Strong subsidence covers the entire Caribbean. Fresh to strong trades in the S central Caribbean will pulse to near gale at night near the Coast of Colombia through the forecast period. Otherwise, mainly moderate to locally fresh trades will continue across the forecast waters through the forecast period. On Ambergris Caye this morning it's windy and sunny. The wind is from the East at 15 mph. Today's expected high temperature is in the mid 80's. There is a fair amount of chunky Caribbean cloud out there, a large area of it now covering much of southern Belize. More patches probably coming in from time to time over other parts of Belize. 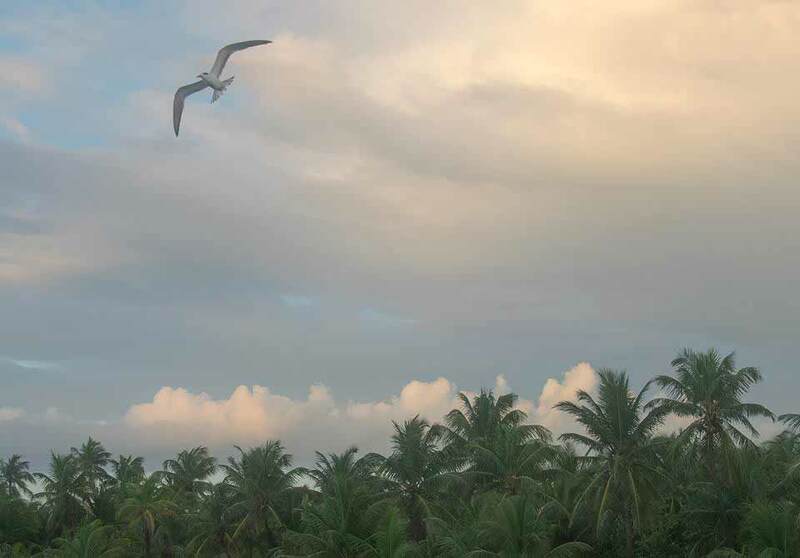 A line of clouds is already forming just inland as typical and there is still some fog in central western Belize, but otherwise quite a lot of sunshine in most parts. 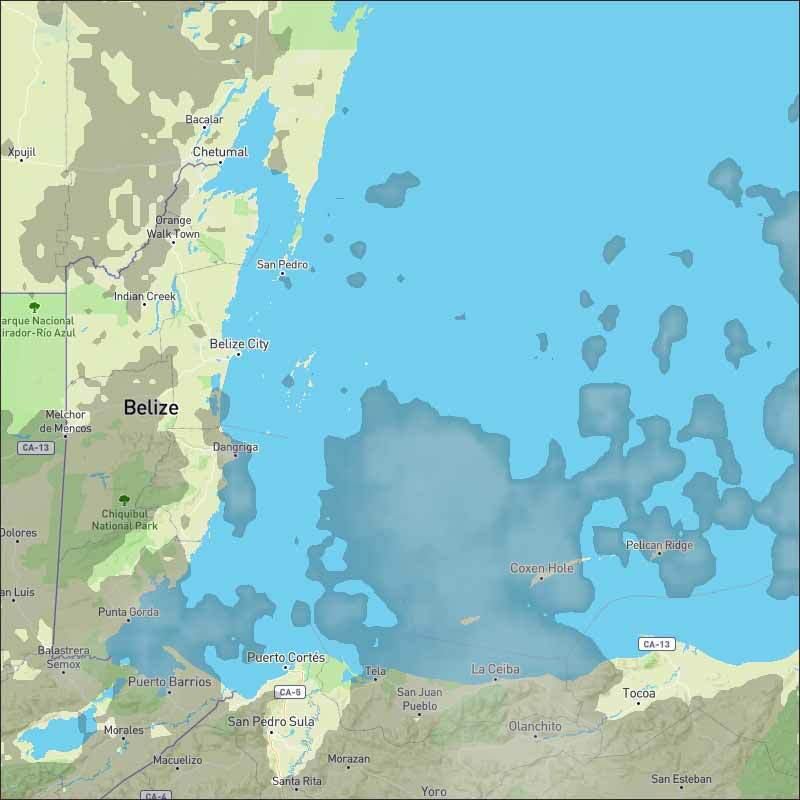 There are a few patches of rain showers in a few parts of southern Belize at present. Looks like it will be mainly sunny for most of us, but with some significant clouds occasionally and a chance of some smallish rain showers, particularly in the south. There is not a lot of rain about, but there is some, which can be in any part of the country. The Caribbean clouds have some heavy cloud patches today, possibly even some high level from the SW causing some of them to produce some rain. 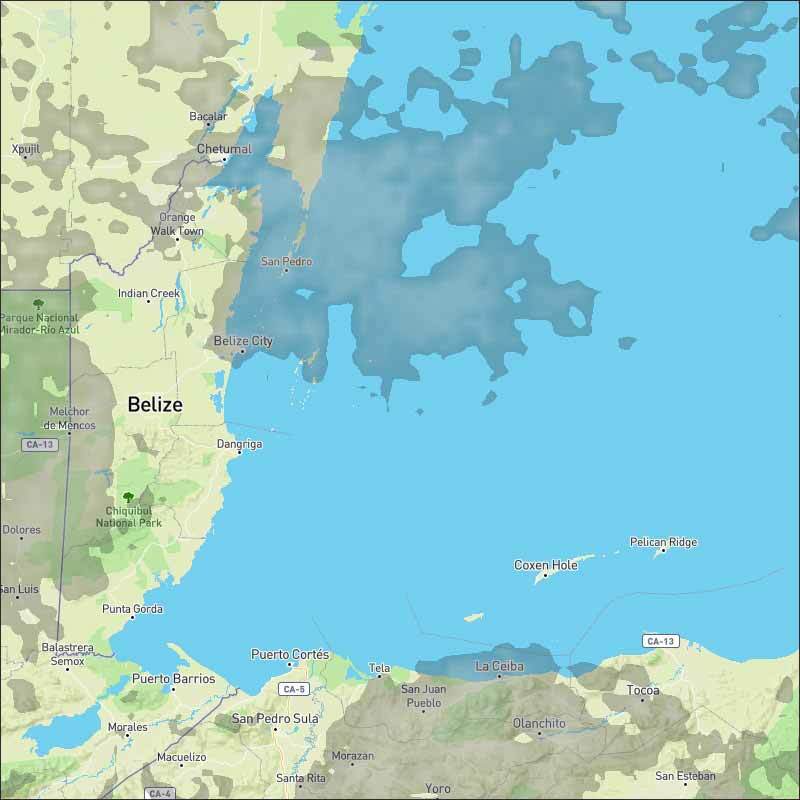 The Caribbean cloud is in two forms, some patchy and stringy areas, and some larger general cover area, one of which is stating to go over north Belize. There are just a few isolated small rain showers around. Looks as if tomorrow, Monday is likely to continue this irregular patches of cloud, mid Belize possibly fog again, then irregular patches of cloud, only a small chance of isolated rain showers.